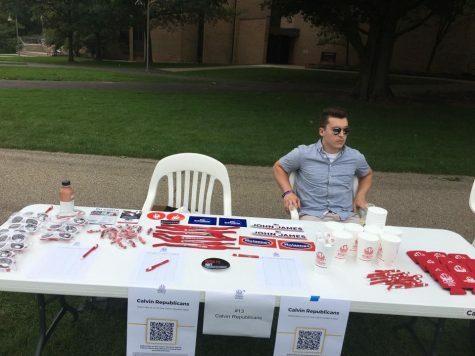 Who are the Calvin College Republicans? 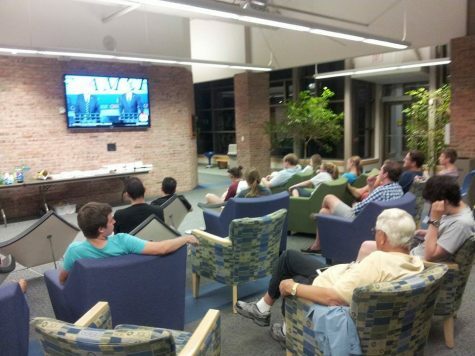 Photos courtesy of Calvin College Republicans. It’s especially easy to forget or neglect the faces behind our political organizations in today’s political climate, where politics have become a hot topic for college campuses like Calvin. The Calvin College Republicans are no stranger to this environment — especially since, according to the Pew Research Center, more and more college graduates continue to identify as liberal. 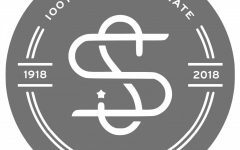 The student organization seeks to “engage God’s world” in a way “guided by conservative principles,” according to their website. But one doesn’t have to look far to know that the political environment at Calvin isn’t clearly defined as liberal or conservative, as an Atlantic feature from last year illustrates. Anu Teodorescu, a junior studying political science, thinks Calvin’s political environment is a bit nuanced. 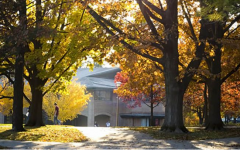 She said that the “student body [is] fairly acceptive to LGBTQ ideas” and other ideas that are generally considered liberal, but that the faculty and Christian tradition of Calvin tends to be more conservative. Jayvin Wolfe, a junior engineering major, said “the conservative presence is less vocal than the liberal presence at Calvin.” Thus, perhaps, what the Calvin Republicans are doing is amplifying the conservative voice on campus. A few leaders from the Calvin College Republicans suggested that although they feel free to express their ideas on campus and feel supported by the college, they aren’t the most well-liked group on campus. Organization treasurer Brennan McClain suggested today’s political climate and the polarizing messages of more extreme politicians like Trump may play into outsiders’ perspectives of the student organization. 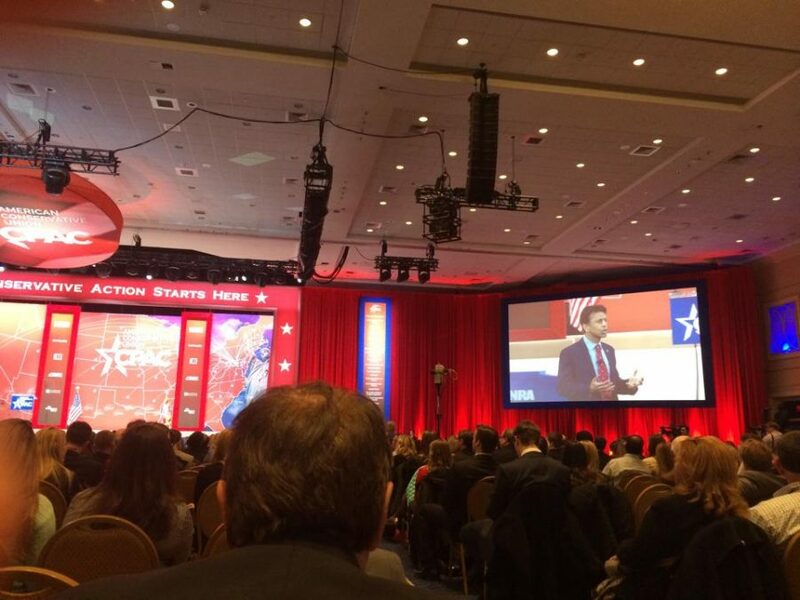 And even though there are mixed feelings about what outsiders think about the organization, leadership acknowledged their gratitude to the college for supporting them and funding their annual trip to the Conservative Political Action Conference (CPAC). There are seven members on Calvin College Republicans leadership. Let’s meet a few of them. 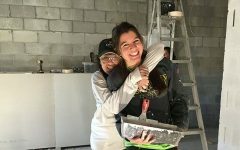 In many ways, Genzink has a lot in common with the average Calvin student: she watches Netflix, delights in spending time with her friends and enjoys attending a local church — her church being Crossroads Bible Church. The biggest difference perhaps is that she finds herself with the responsibility that comes with being the president of an organization, which includes planning a trip to CPAC and running meetings. 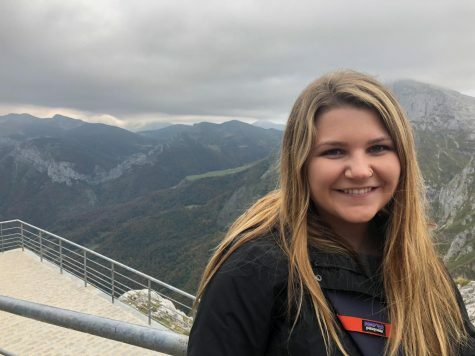 After college, rather than pursuing a career in politics, Genzink is interested in business, perhaps working in a hospital’s human resources firm, although she is open to other possibilities. However, he did find time to read Ben Shapiro’s “Brainwashed: How Universities Indoctrinate America’s Youth,” a book he would call his current favorite. This is his second year with the organization and his first year on leadership. With his time left at Calvin, he hopes to help the club grow in membership and to continue to host events with the Calvin Democrats. He studies sports management and business finance. After graduating, he hopes to go to graduate school and to eventually work in the front office for a hockey or baseball team. Reflecting on how she developed her conservative beliefs, she pointed to her family and how she was raised conservative. “Me and my dad would always listen to politicians on the radio … and think about their different ways of thinking,” she said, which had an influence on her. Velloney is a first year student political science major whose main role with the Calvin Republicans is assisting with the event planning. In her free time, she likes to dance and to instruct other dancers at Grand Rapids Parks and Rec. To relax, Alexa often paints or does pottery. And as far as reading material goes, Velloney recommends the book “Unified” by Trey Gowdy and Tim Scott, a story about an interracial friendship in the House of Representatives. 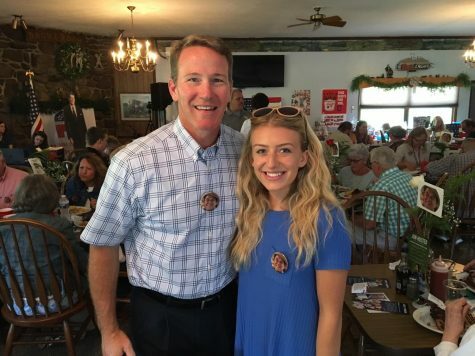 Last semester she worked on multiple campaigns, including one for John James, a Michigan Republican nominee who lost his race for the United States Senate. She hopes to immediately continue working on campaigns after graduating. 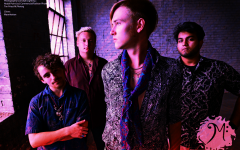 For starters, the organization’s main goal is to act as a social atmosphere and “to get kids exposure,” according to treasurer Brennan McClain. This is why the club tries to “keep it open and keep it civil.” Likewise, this reflects the activities of the average meeting, which include snacks, usually brought by leadership, and either a movie or a guest speaker. If you attend a meeting, expect Chick-fil-a. The speakers at these meetings often include people from local political campaigns, such as U.S. representative for Michigan’s 2nd district Bill Huizenga and the current United States Secretary of Education, Betsy Devos, who spoke at a meeting last year. They try to meet biweekly, with about 15 to 20 people showing up at each meeting, according to McClain. They also go to a few larger events, such as CPAC, the annual conservative convention where speakers include people like Ben Shapiro and Donald Trump. You don’t need to be a conservative or even a Republican to attend one of their meetings or events. All are invited, although moderates attend more than Democrats. Extending the invitation to non-conservatives helps “create a healthy discourse and dialogue,” according to the organization’s president, Kennedy Genzink. Some members want the Republican party to be a more encompassing party. McClain says, “What I’m seeing from the Democratic party, [is that] they like to alienate a lot. Such as … it is a sort of unsaid thing that you have to be pro-choice if you’re a Democrat… As Republicans all we want is the government to be smaller,” and thus, if you desire a small government, McClain would say that the rest is of minor importance. The Calvin College Republicans have preventive strategies for keeping alt-right ideas out of the organization. Genzink said that if someone more aligned with the alt-right tried to join leadership, they wouldn’t let them; and, once, they had to turn down a student who wanted to go to CPAC because of his extreme views, according to McClain. McClain wants to communicate to other students and those thinking about attending an event that “We aren’t all evil, racist people,” he even laughed as he continued, “our leadership is mostly women too … we aren’t sexist either.” Genzink added, “We want to love people. Stay tuned for a features article on the Calvin College Democrats.